Are you cracking your mind trying to leverage the true power of Google Plus? While Google Plus has gone through several modifications in the recent months, it certainly doesn’t mean that it is entirely useless for social media marketers. If you are thinking of traffic building, networking or influencer outreach, Google Plus is probably the best social platform to engage in. The fact remains that Google Plus had recently been in the limelight for some drastic changes towards how it would perform. As a result of this changes, Google Plus has lost a significant amount of users. Sure, there are those who has left Google Plus for the good while others are engaging lesser in that platform. Now, do you see the advantages here? You have lesser competitors, for Christ’s sake! Yes, there are also the lesser audience who will engage with you but on the positive side, you know that majority of this audience are the ones that are using Google Plus for a good reason. So, let’s dive into some of the simplest tricks, shall we? 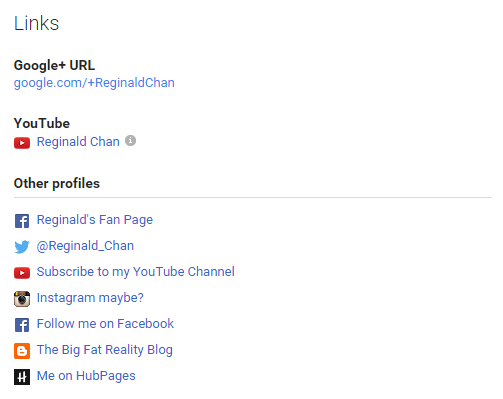 The most basic form is to get your profile updated on Google Plus. Take a moment to think about it. When was the last time you updated your profile? Sure, you don’t have to update the profile on a weekly basis but you need to ensure that your profile page has the most basic information (which are up to date). As you can see above, it gives a significant introduction of myself to anyone who is interested to know more about me. When it comes to Google Plus, taking some time to setup your account is vital. 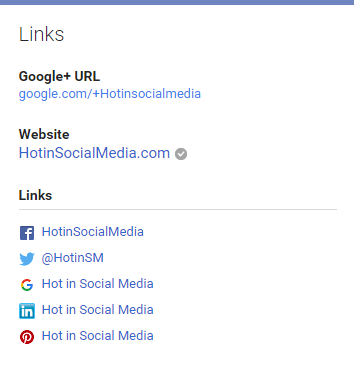 Do you know that creating a Google Plus page for your business helps in ranking (to say the least)? You should create a Google Plus page for your business no matter the size of your business. Period. 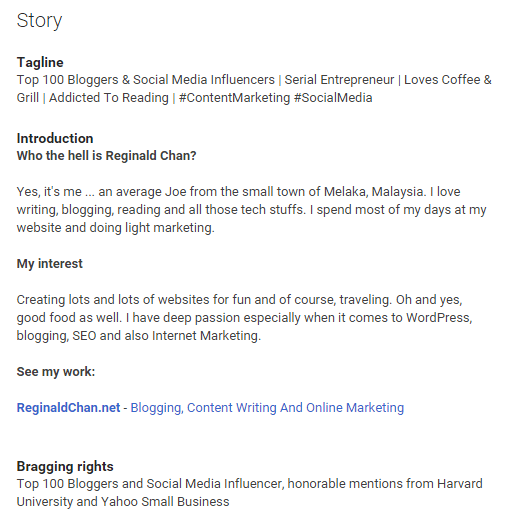 The layout and setup of a Google Plus page is pretty similar with creating a Google Plus personal account (as seen above). Remember that you are required to verify your account (easily done when you have integrated Google Webmaster and Analytics to your website). 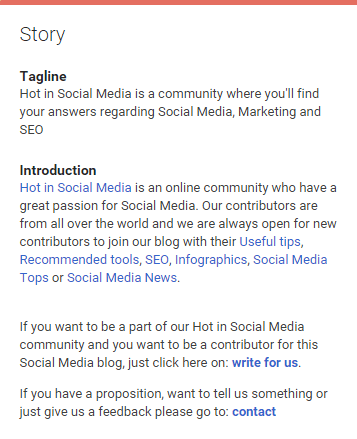 The “about” page tells everything you need to know about the website and if you are interested, you can reach out to them on social media (check out the social media accounts in the “Links” tab). When it comes to Google Plus, your ultimate goal is to create simple navigation for your potential readers or followers. Already remember that when they are less confused, it would drastically increase the click through rates and potentially attract new clients as well. Google Plus can be really stressful; especially when you are trying to navigate through the hundreds of updates at one very moment. Here’s a snippet of my “Business Circle”. 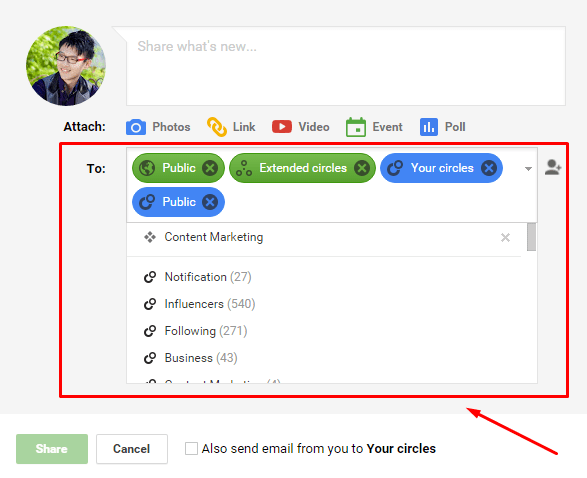 Google Plus circle is a powerful feature for any social marketers. The hardest part is to spend some time to add, move or delete these followers from your circle(s). 4. How to show updates to a highly targeted audience? 5. When should you use the email feature? The screen shot above shows an option to “Also send email from you to Your circles”. Folks, this is a risky but powerful way to use Google Plus (if you are aiming to leverage it for business). I know some who actually enable this feature for every post update they publish. This means that all their followers are going to get an email notification of the update. Not a good experience, right? How about using this function only for time-limited, special promotion and to super targeted audience? Now, this will skyrocket your traffic, clicks and the only thing stopping you is the sky. Important note: Again, this feature should only be used if you have created multiple circles with specific interest. 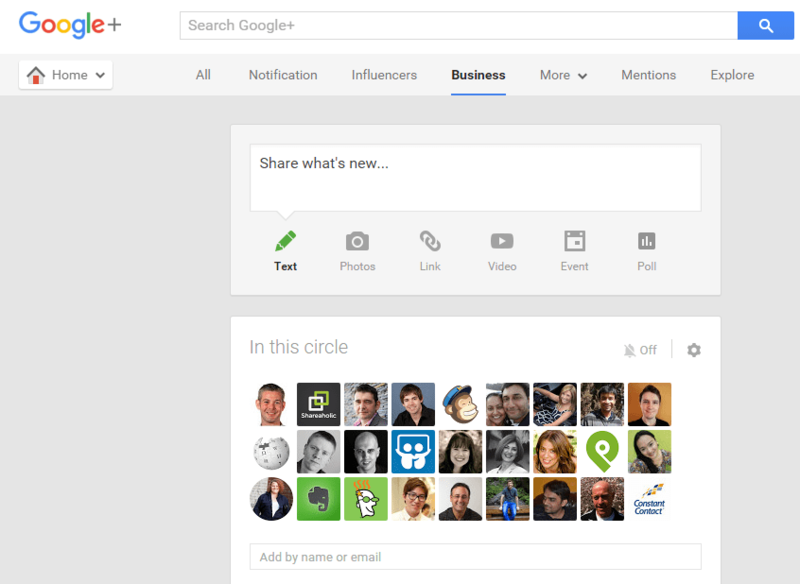 Did you know that communities are a great way to leverage Google Plus? For one, communities allow you to connect (and network) with audiences that have similar interest as yours. Be it social media, blogging or photography, you will find at least one community that fits your requirement. It is important to remember that the right community will help you to grow your business, blog or website. If you want this to work, a good rule of thumb is to provide as much as value as possible for the community members. It is not about self-promotion; it is all about helping others and grow your influence! 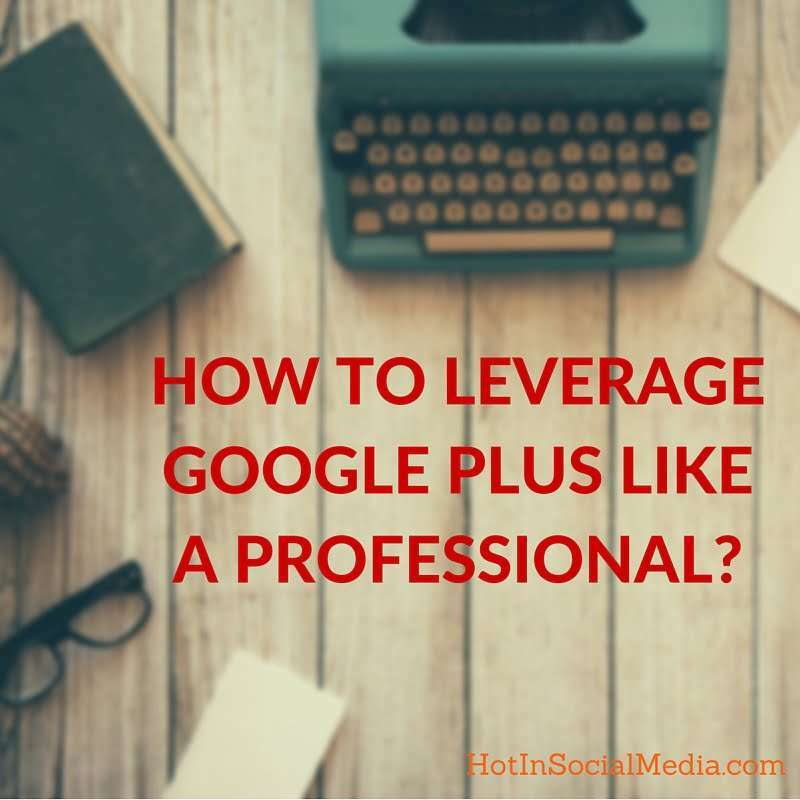 What do you think about Google Plus and leveraging it for business? Leave a comment below and let’s discuss further.